The Vulkan AE Elbow Support provides comfort for swollen or tender elbows suffering from sprains and strains. Firm support for prevention of further pain and discomfort. Use for racket sports or golf. 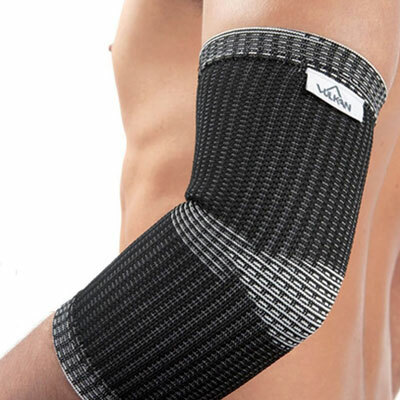 The Vulkan AE Elbow Support provides comfort for swollen or tender elbows suffering from sprains and strains. Firm support for prevention of further pain and discomfort. Ideal for racket sports or golf and short term use to control swelling.